Harvest 2018 has finally finished and it looks like being another amazing vintage. Lower than average rainfall throughout Winter and Spring led to limited subsoil moisture for the beginning of the growing season. Canopies however remained healthy and strong, assisted with irrigation where possible heading into the warm Summer months. Access to water and good irrigation management was critical, however the longer warm, sunny conditions of the ripening days and the cool nights has resulted in consistent yields and excellent quality across all varieties. Winemaker Brett Schutz said, “good water management had been key. We've come from a 2016 water level here in Clare near record 800 millilitres down to 480 millilitres, and we've had a growing season that has been very dry. However, we have been careful about putting the water on at the right time, so we maintained appropriate crop levels and kept the canopies fresh and healthy which has provided us with good quality fruit at picking. "We're really pleased with preliminary looks at our Shiraz, Cabernet, Riesling, and Pinot Gris. The colours, tannins and flavours are all spot on. At this early stage we believe that the reds have excellent cellaring potential and the whites should age well too”. 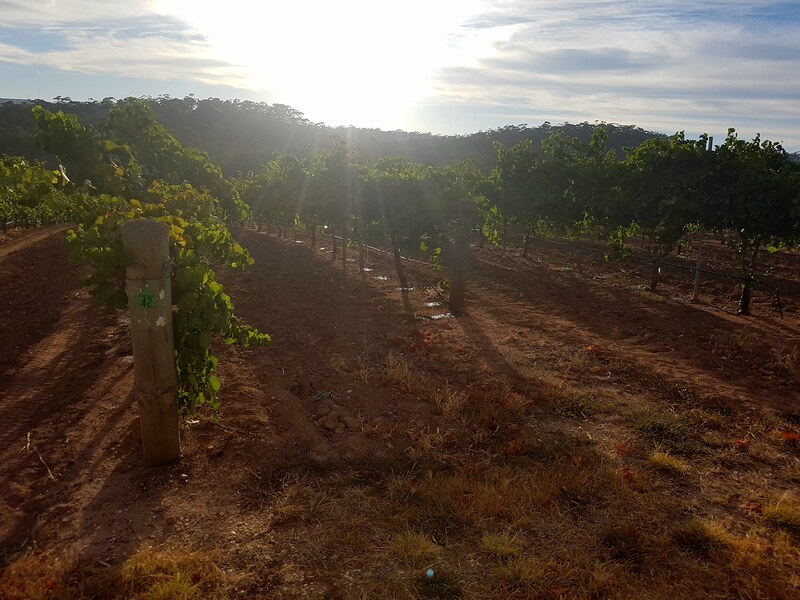 Owner and director of winemaking, Tim Adams believes that the Chinese are onto something with their belief that the number ‘8’ is lucky. “Every year that ends with an 8 has been outstanding. Since commencing my winemaking career in the 70’s, vintages that ended with an 8 have all been exceptional”, he said. In summary, the vintage was trouble free, yields were good and quality looks like being just as good if not better than the outstanding 2017 vintage.